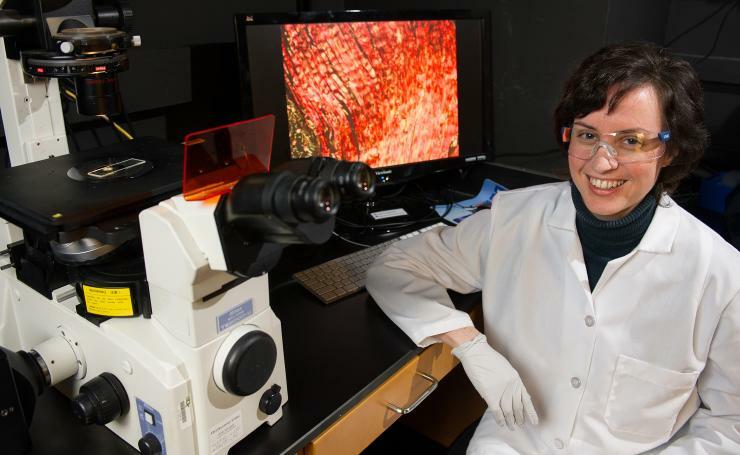 Johnna Temenoff is only jesting a little when she describes her lab’s recent collaboration with two other labs at the Petit Institute for Bioengineering and Bioscience. “This was very much, pardon the pun, a joint effort,” Temenoff says about the research, which demonstrates for the first time the degenerative effects of tendon overuse (tendinopathy) on surrounding tissues in the shoulder joint. It’s a partnership that could lead, down the road, to new therapeutics and preventive medicine for people with shoulder injuries – “athletes, or quite honestly, anyone, particularly people who do a lot of overhead reaching,” says Temenoff, professor in the Wallace H. Coulter Department of Biomedical Engineering and co-director of the center for Regenerative Engineering and Medicine (a partnership with Emory University and the University of Georgia). In previous work, Temenoff and her research partners analyzed torn rotator cuff (supraspinatus) tendon tissue that had been damaged from overuse for the presence of proteases (an enzyme that breaks down proteins and peptides), and also examined structural damage changes in rats, where the tendon meets the bone. They saw more degeneration in the area close to the bone and cartilage, rather than where the tendon enters into muscle tissue. “Our work has really been trying to demonstrate how members of this class of enzymes are involved in more tissue destructive diseases than are being investigated,” says Platt, associate professor in the Coulter Department. In the most recent study, the researchers wanted to focus just on the area of the humeral head – where the tendon inserts into the bone and the articular cartilage that covers the head. What they found confirmed some suspicions, showing degeneration in multiple tissues adjacent to the humeral head – in both tendon and cartilage – as a result of an overuse protocol. This is the first confirmation showing that overuse injury in the shoulder tendon could damage the adjacent cartilage. The Guldberg lab employed its expertise in micro computed tomography (microCT) to assess the damage to the articular cartilage, “and it showed that tendon overuse resulted in significant changes in the joint surface, consistent with the early stages of osteoarthritis,” says Guldberg, executive director of the Petit Institute and professor in the Woodruff School of Mechanical Engineering. 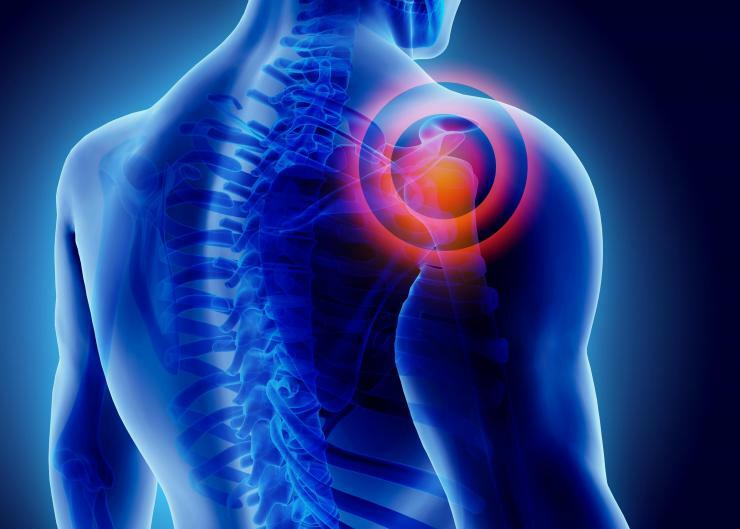 The research, funded by the National Institute of Arthritis and Musculoskeletal and Skin Diseases (NIAMS) of the National Institutes of Health (NIH), offers a new, broader view of rotator cuff disease. The findings suggest a necessity to treat both the tendon and nearby cartilage to slow or reverse tissue damage during overuse injuries. “It’s important to let clinicans know that they should monitor this because they may have patients that might be putting themselves at risk for a total shoulder replacement,” Temenoff says. Lead author of the paper is Akia Parks, a biomedical engineering graduate student who is based in the Platt lab. In addition to Guldberg, Platt, and Temenoff, her co-authors include Jennifer McFaline-Figueroa (research technician in the Temenoff lab), and BME undergrads Anne Coogan and Emma Poe-Yamagata. Parks, whose studies are supported by the NIH’s Cellular and Tissue Engineering (CTEng) grant, served as a critical human link, straddling different research areas and exemplifying the multidisciplinary approach that is emblematic of the Petit Institute. "Supraspinatus tendon overuse results in degenerative changes to tendon insertion region and ajacent humeral cartilage in a rat model"